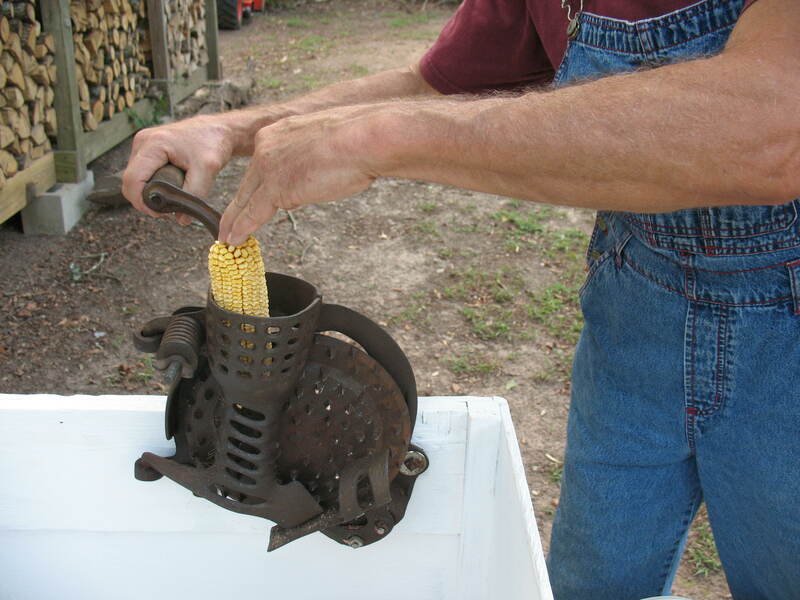 I mentioned in passing to a friend of mine that I was looking for an old-time hand operated corn sheller, and that I had seen a couple on the inter-net but, since they are made of cast iron, the shipping was outrageous. He called me about a week later and said, “I’ve got something in the back of my truck that you might be interested in.” It seems that he had come across his late uncle Wallace’s corn sheller out in the barn, and it was just sitting their getting rusty. He offered it to me on loan saying that it was just going to ruin in the old barn and that if he needed to use it he would know that I had it. I told him that it sounded like a great deal to me, so I went over the next day and picked it up. It was a Blackhawk sheller; patented in the late 1800’s and probably came into uncle Wallace’s possession in the early 1900’s. It was rusty, but not real, real bad; and, to my surprise, it was mounted on a really nice collecting bin that would funnel the shelled corn kernels into a waiting bucket. I dissembled the sheller, worked it over with a wire brush, oiled it good, replaced a couple of bolts, and re-mounted it on the collecting bin. The collecting bin itself was very well crafted (uncle Wallace had been carpenter), and all I had to do was repair a broken leg and give it a good coat of paint. Shelling corn by hand is a pain, and since every little farm grew their on corn for food and livestock feed, these shelling machines were very common back in the day. The way it worked was that farmers would grow a good size crop of field corn and let it dry out on the stalk. For animal feed you would carry the corn, cobs, and stalks to the local co-op and have it all ground up into feed. The corn alone was too rich, so you had the cobs and stalks ground up with it. For people food you shelled the dried corn off of the cobs and carried the corn to the local grist mill to have it ground into meal. 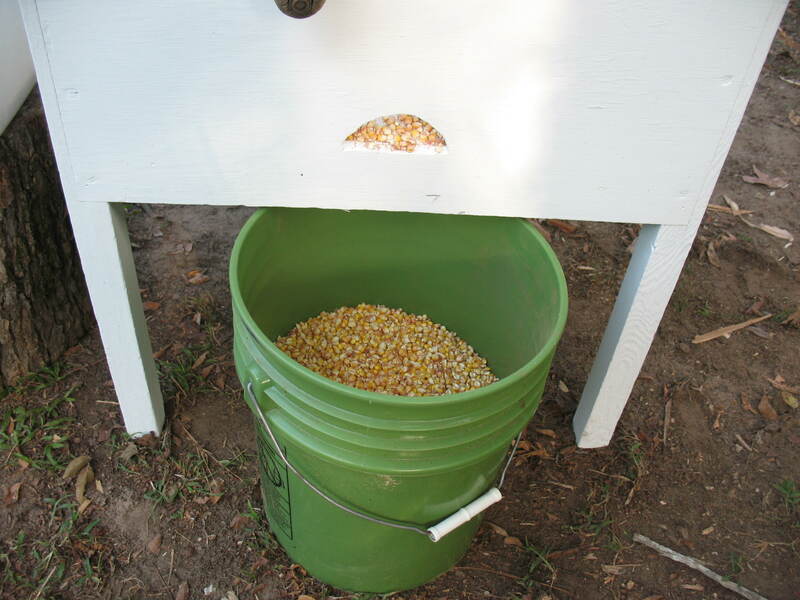 You could pay the miller to grind your corn, but it was more common to pay a toll by allowing the miller to keep a portion of your cornmeal. The miller would then turn around and sell the cornmeal to city folks or people who didn’t raise a corn crop. There was a little mill still in operation close to my farm as late as the early 1980’s; but, sadly, it is now gone. Turns out that this was the very mill that my friend’s uncle used to carry his corn to. If you’ve never seen one of these shellers in action, they are really very ingenious. They will shell an ear of corn and then spit the cob out in a heartbeat; much, much easier than doing it by hand. I’m going to try out a little new (for me) technology here and attach a brief video of the Blackhawk Corn Sheller in action. Well the video worked on my preview, so maybe it will work for you also. Geez, I’m just getting to be a technology wizard. Next thing you know I’ll learn how to work an ATM machine. 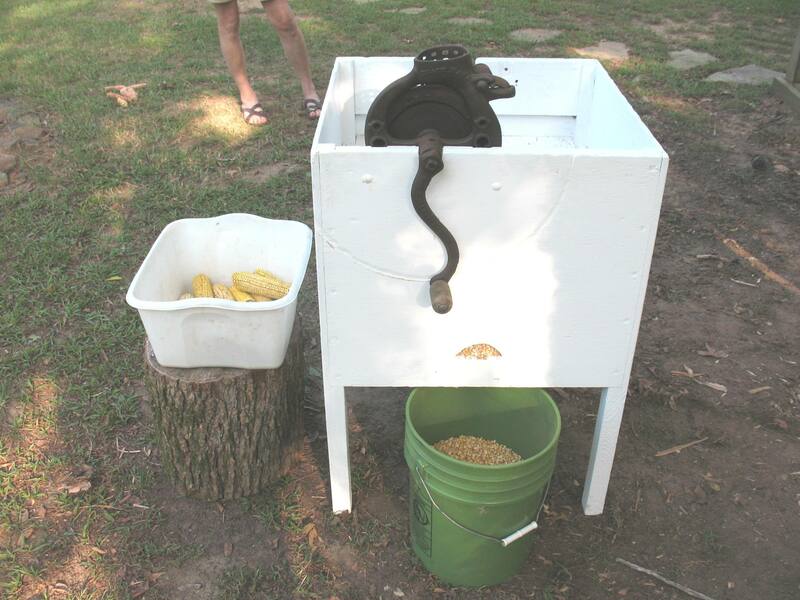 That corn sheller is really neat. I didn’t know something like that even existed. I cant count the number of days I spent in the barn as a kid, endlessly cranking that handle while fox squirrels played and squacked in the oak trees a few hundred yards away, tormenting me and my need to be chasing after them with my single shot 12 guage…. 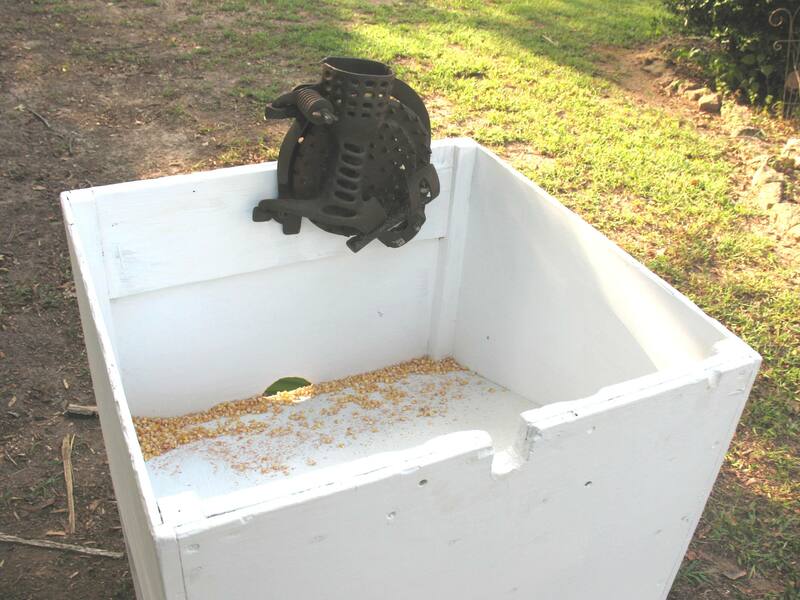 The only black hawks that are left are in antique stores, but pleasanthillgrain.com sells a similar one called the Maximizer Corn Sheller for about $70 US. I haven’t used this one personally, but it looks a lot like the Black Hawk. Want one how to buy it.